Exploring capillarity of various fluids. 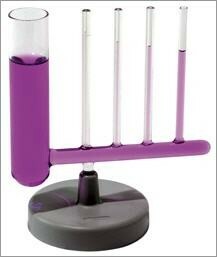 An easy to use apparatus to investigate capillarity and surface tension in fluids. The apparatus consists of a set of 5 interconnecting glass tubes of different diameters which give students a unique experimental insight to the phenomena of capillarity and surface tension. Weiterführende Links zu "Altay Capillary Tubes"
Kundenbewertungen für "Altay Capillary Tubes"